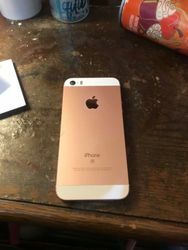 16gb iPhone SE Rose Gold Unlocked, used but was always in a cover. Phone is in a very good condition no iCloud or any lock. Includes the Box, Original Charger and Phone Covers..